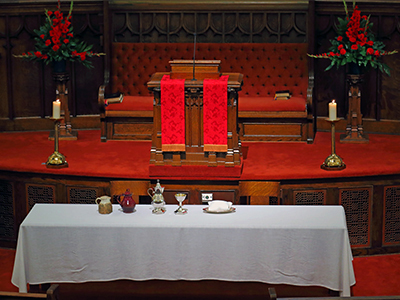 We, the members of First Presbyterian Church in the heart of Wichita, Kansas, believe that our lives should be Christ centered and lived with joy in response to God’s loving grace. We believe that a responsive life will focus on mission that strives to meet the physical, emotional, and spiritual needs of others, both near and far. We believe the Bible speaks to all individuals in all generations and, thus, requires thoughtful and continual study by all. We believe the Holy Spirit changed the lives of the Apostles and continues changing lives today, so we remain open to the ways in which the Spirit may call upon us to innovate and create. Our purpose is to witness to the presence of the risen Christ in the world and for the world. Embraces diversity, unconditionally inviting all to establish a personal relationship with God through Christ. Help to involve us in the missions of the church. Validate our young people and their thoughts while strengthening their faith and commitment.